Big data is a broad term used to define data sets so large or complex that traditional data processing applications are inadequate. Companies looking to harness the power of big data run into a myriad of challenges when trying to work with the data including data capture, analysis, search, sharing, storage, transfer, visualization, security and information privacy. Big data is defined and heavily influenced by the ‘three Vs’: volume, velocity and variety. It describes data sets that are typically too large for conventional storage such as hard drives or on premise data storage systems. The benefit gained from the ability to process large amounts of information is the main attraction of big data analytics. However having too much data without the proper technology infrastructure can create more problems than value. Large data volumes present the most immediate challenge to conventional IT structures as on-premise solutions typically are not designed to manage the weight of large data sets. It calls for scalable storage, and a more robust analysis engine for sifting through the good, relevant data from the bad, distracting data generated in the supply chain. The majority of companies that are interested in harvesting big data trends struggle managing large amounts of archived data and they do not have the tools in place to process actionable insights. For instance, traditional systems lack the capabilities to properly forecast demand patterns for every unique inventory item automatically. Additionally, large networks of warehouses seldom are linked together for a holistic view of inventory stock levels including excess stock and inventory obsolescence. Some warehouses can easily redistribute stock to other higher demand warehouse locations to save costs, but the data needs to tell that story to operations. The increase in popularity of cloud computing models have opened up new doors for smaller wholesalers and mid market distributors to harness big data analytics as the storage, processing, maintenance and security of data can be outsourced to system vendors. This extends all the advantages of cloud based big data analytics without any of the burdensome infrastructure costs. Data velocity refers to the increasing rate at which data flows into an organization from its many different channels. Problems previously restricted to segments within industries are now presenting themselves in a much broader setting. Specialized companies such as wholesalers and distributors of durable goods have historically relied on outdated Enterprise Resource Planning (ERPs) systems and Warehouse Management Systems (WMS) to aggregate and analyze business critical data. The problem is that these legacy systems were not designed to manage big data and quickly become overwhelmed. They are often times ripped out and replaced by a newer system that still lacks to need functionality and scalability to manage these data requirements. With the growth of the web and online purchasing automation, companies now must rapidly react to increases in sales and service delivery volatility. Suppliers that cannot manage inventory levels properly run the risk of overstocking too much inventory, which hurts profits. On the flip side, running out of inventory because safety stock levels were miss managed or because of demand forecasting accuracy errors can cost the business customer loyalty and sales. Businesses that are able to compile large histories of customer sales data and effectively analyze their stock levels can maximize their revenue and return on investments into inventory. Demand pattern trends create intelligent replenishment practices, which help operations keep inventory lean. Those who are able to quickly utilize data to gather these types of information gain a strong competitive advantage. Rarely does data present itself in a form perfectly ordered and ready for processing. A common theme in big data systems is that the source data is diverse, and doesn’t fall into neat relational structures. 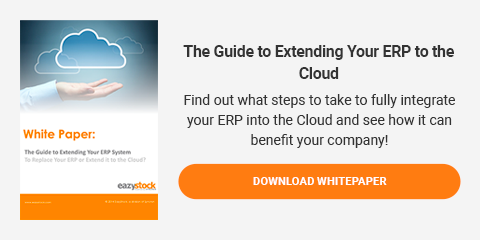 In the supply chain world, data from ERP’s, MRP’s, WMS, Logistics Providers, Suppliers, Manufacturers and other account software like QuickBooks, need to be centrally managed and analyzed to create a 360-degree view of operations. Most of these technologies have been designed to be stand-alone applications that do not talk to other systems. This is a big hurdle for companies looking to more effectively monitor big data trends. Even with more advanced web-based applications, where computer-to-computer communication ought to bring some guarantees, the reality of data is still a messy process. Different warehouse locations will use different siloed systems, which require redistribution capabilities. Users forget to input inventory data, which requires automated system alerts and notifications. Operators may be using differing software versions or vendors for inventory purchasing, which requires robust multi-echelon planning tools. And the laundry list goes on. Even with technology safe guards in place, if part of the process involves a human, there will be error and inconsistency. A growing trend is for businesses to invest into cloud based inventory optimization software to support legacy system optimization. Optimization software is designed to integrate with any inventory management system to help extend more advanced planning and execution within the supply chain for greater inventory control. Optimization software such as EazyStock are designed to capture massive amounts of data to analyze and report out intelligent business operational trends to enhance supply chain visibility and profitability. Optimization software centralizes system data for a 360 degree view of operations, customer service, sales and finance. The software also centralizes operational planning, helping purchasing and forecasting decisions to be made from one location across any number of different stock locations. Increase customer service rates and decrease operational costs to create a more profitable supply chain with EazyStock.